When it comes to your health and well-being, preventative care is a must. Looking for ways you can improve your lifestyle and reduce risks for common diseases is imperative. Here at Hill Family Medicine & Skin, we provide preventative care to Bee Cave, Austin, and surrounding towns. Our experienced physicians will work with you to tackle any existing health concerns you have while creating a plan for your future. Learn more about these medical services below and reach out to book an appointment today. We look forward to helping you achieve the healthy life you seek. If you have been struggling to lose weight on your own, speaking to a doctor at our preventative care clinic is a great next step. We can work with you to determine how much weight you should ideally lose, as well as give you the assistance you need to reach those goals. Losing weight is about far more than just your appearance. A healthy body weight can contribute to a longer life. Carrying too much excess weight puts a strain on everything from your joints to your heart. 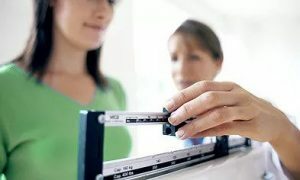 Book an appointment today if you’d like to learn more about our weight loss programs. Do you struggle with kicking the habit of smoking? Here at Hill Family Medicine & Skin Care, we truly understand how difficult quitting smoking can be. That is why we offer help to our patients through a smoking cessation program. Smoking can lead to long-term health issues and puts you at a higher risk for lung disease, heart disease, and even cancer. Talk to our doctors today about how we can help you put down the cigarettes once and for all. While skin cancer is one of the most common types of cancer, it is also a cancer that is easily treatable when caught early on. If you are fair skinned or spend a large amount of time in the sun, it is worth scheduling an appointment for skin cancer screening. Our doctors can look for early warning signs of skin cancer or skin that is at risk. By finding skin cancer during its earliest stages, you can prevent the spread and take simple actions to mitigate further risks to your health. If you need help with preventative care, we invite you to visit our clinic. We provide an array of medical services, including those that are geared toward improving your health now and down the road. We will work with you to find a health plan that meets your unique needs. As local family physicians, we are passionate about ensuring that those who live in our area have access to high-quality medical care. Book an appointment for preventative care in Bee Cave at our clinic and reach out with any further questions about the services we provide. We are proud to assist patients from around the Austin area.